The news is everywhere - Pope Benedict XVI has announced his intention to resign on 28 February 2013. When I was a Seminarian in Rome, Cardinal Ratzinger was a figure of loathing within the Vatican Heirarchy. A kind of marauding Evil Angel. My memory of him goes back to 1968. That's a long time. At last he has gone. No wonder I am going a bit "Spas" about his resignation! I have loathed that man, and everything he stood for, for 45 years. 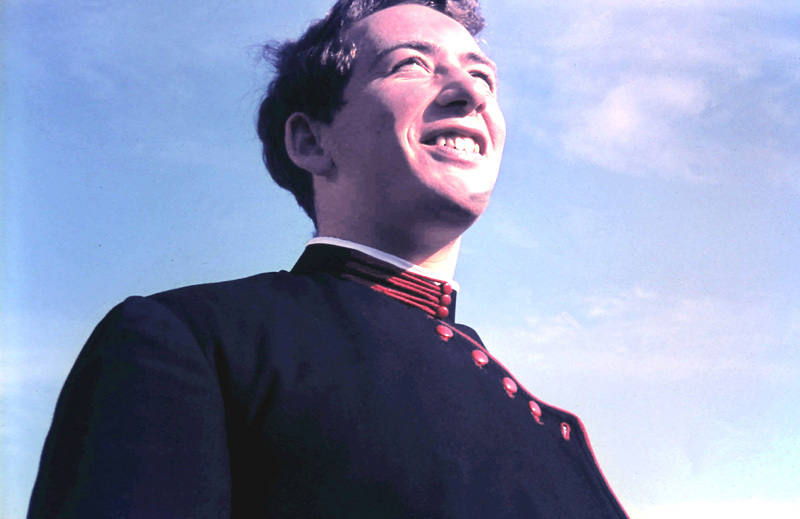 A young Seminarian at Propaganda Fidei College. There is one other Australian, who has the right to be feeling somewhat satisfied tonight. He resigned from active ministry as a Priest in March 2001. The reason was: "After thirty three years I have decided to resign as an ‘active' priest to return to being an ordinary Catholic believer. Many people will justifiably ask: why? The reason is simple: I can no longer conscientiously subscribe to the policies and theological emphases coming from the Vatican and other official church sources." He continues: "I have often been critical of the church's leadership, perhaps too harshly at times, in books, broadcasts, talks and articles. I have been concerned with ecclesiastical narrowness and the de facto denial of catholicity. But I also constantly argued that it was only by ‘staying in' the priesthood that someone like myself could influence things and bring about change. But it was always an every-day decision to continue the struggle through the internal structures of the church. And there can come a moment when you decide that both conscientiously and strategically ‘staying in' no longer remains a viable or honest option. You realise that you can no longer collude in what is happening by remaining in the official priesthood." He names his nemesis as the head of the Congregation for the Doctrine of the Faith - then Cardinal Ratzinger. That was Pope Benedict's name, while still working his way up through the Bureaucracy of the Vatican. I wish Paul Collins all the very best tonight. No doubt for him it will be a bitter-sweet event. *** Why is everybody surprised that Pope Benny pulled out early? He's a Catholic, after all. Lightning struck the Dome of St Peters basilica just hours after the Pope announced his resignation. I am suspicious of this image having been either saved up from a previous event, or simply Photoshopped, but it is presented by the mainstream media as genuine.